Members of our Wellington branch were proud this morning to stand in solidarity with Unite union members striking for a living wage at McDonald’s. 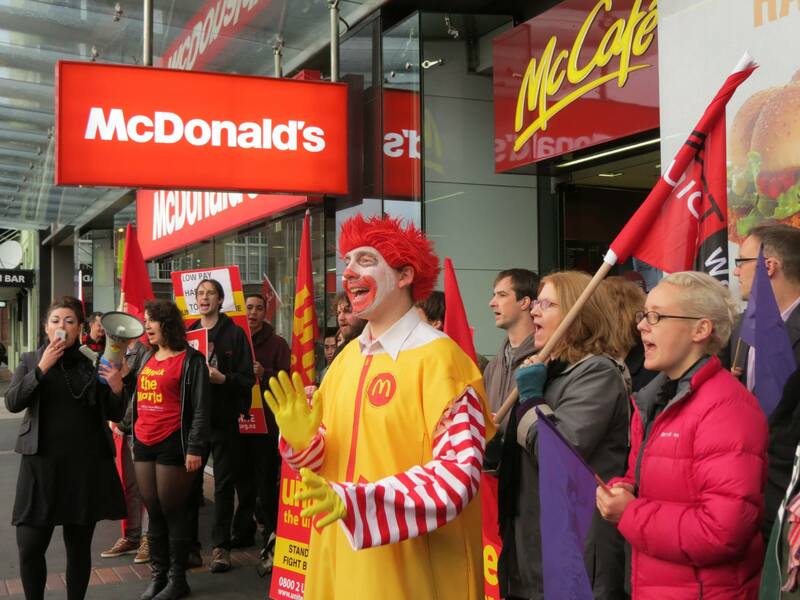 McDonald’s makes hefty profits, but its workers, on casual contracts, are paid minimum wages. The strike was solid – union members on a morning shift came out, and were joined by supporters from the union movement. It was great to see flags and banners from the NZNO (the nurses’ union), First Union, and the Tertiary Education Union. 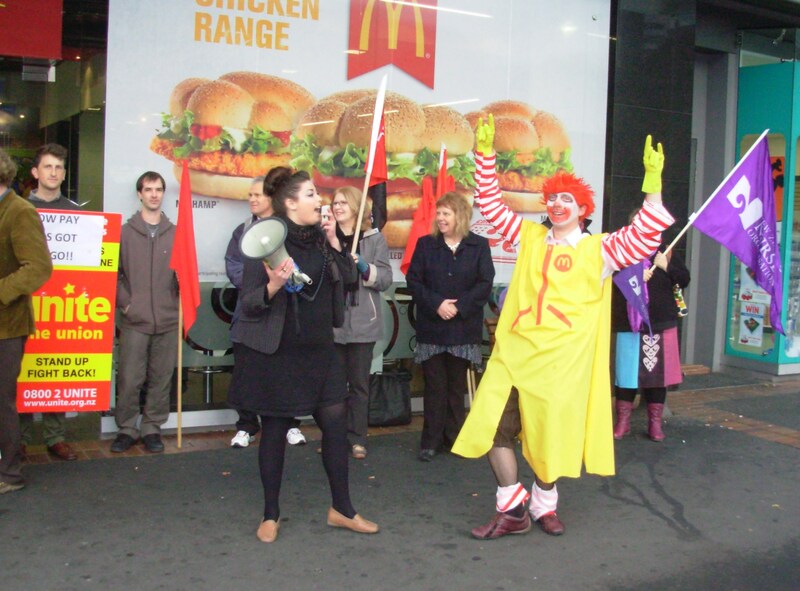 McDonalds is using bullying and intimidation to try and scare workers out of standing up for themselves. We saw that this morning. At one stage the store even sent people to hand out free vouchers to commuters leaving the railway station! But the strike stayed solid. 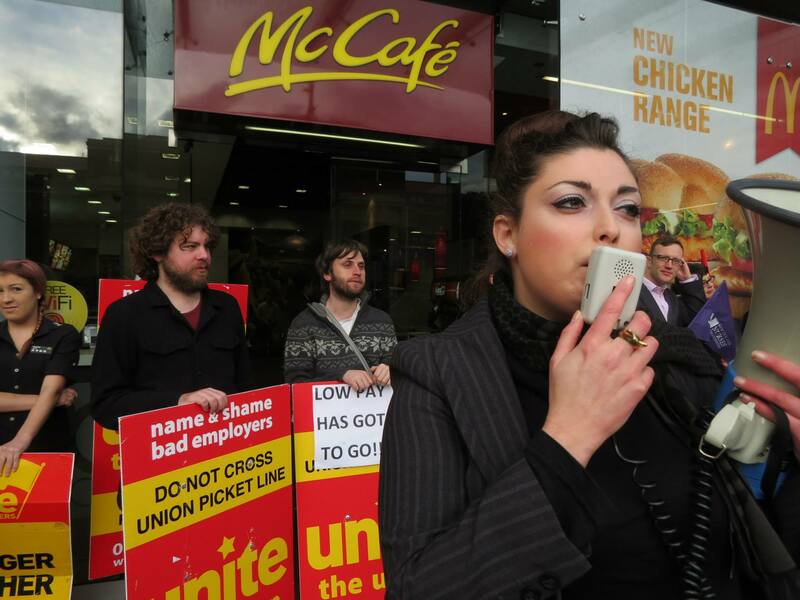 Unionised McDonald’s workers are an inspiration to us all.